Please DO NOT PRINT these assessment forms but rather fill them in online, as this immediately updates your files on our system. Our Posture Screening process is used to provide you with a visual and accurate representation of your current posture. Simply get someone to take two photographs of you with the free RemoteScreen app (download link in booking confirmation). We are then able to screen your posture for any deviations that may be causing you pain or discomfort and send you a detailed report. Your Posture Screening will be done on the date chosen and you can expect your report 2 working days thereafter. *Please note that this is NOT a Physical appointment you need to attend yourself. The booking is purely for our own diaries. Please watch the short Tutorial Video on the App Home Screen for an explanation on how to log in, add a practitioner, take and send your images. The Restoring Health Practitioner code will be supplied to you in your booking confirmation of your chosen appointment. This assists us in accurately identifying the anatomical landmarks on your body and thus providing you with an accurately detailed report. We suggest booking into a set of 6 classes at a time as this helps reduce the risk of injury as well as to keep you accountable to achieve your goals. Please email exercise@restoring–health.co.uk for any queries. To find out more about what is included with this upcoming Retreat to Kefalonia, and to view the 2018 gallery, please click HERE There are limited spaces available so why not book in with us today and pay a £500 *refundable deposit to secure your place. For any further information contact Deborah on: deborah@restoring-health.co.uk | +44(0) 7885 548594 *deposits are refundable up until 15 December 2018 after which all bookings will be considered as confirmed with you liable for the full amount remaining, to be paid by 4 March 2019. If the full amount is not used when booking an appointment the remainder will be credited to the CODE. The randomly generated code can then be used against purchases with us. 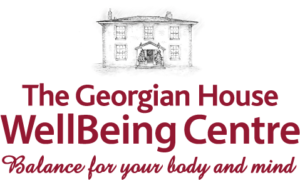 If you think it would be beneficial for your friend of family member to go on a Wellbeing Journey with us, you may wish to consider the purchase of an additional £10 voucher towards their next appointment, which will encourage them to return. If you have created an account with us for online bookings the voucher code will automatically be linked to your (the purchaser) account. In this way you can see when the voucher has been used. Use that code to redeem immediately using quick link provided, or redeem it over time. When you redeem the code it will deduct appointments booked from the balance of the package or voucher amount.